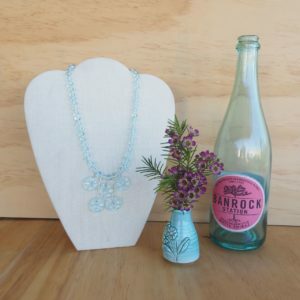 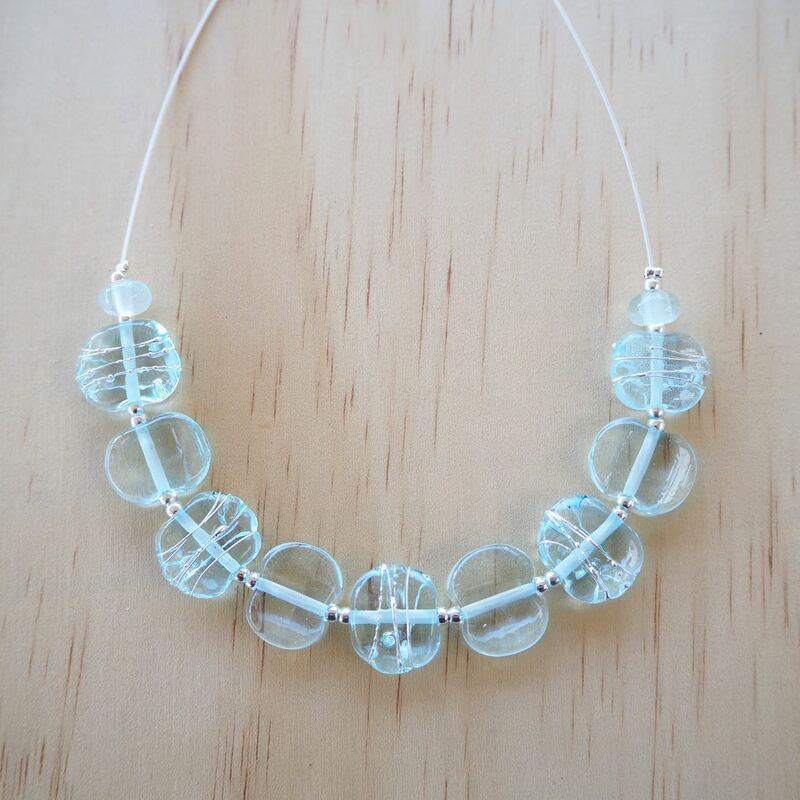 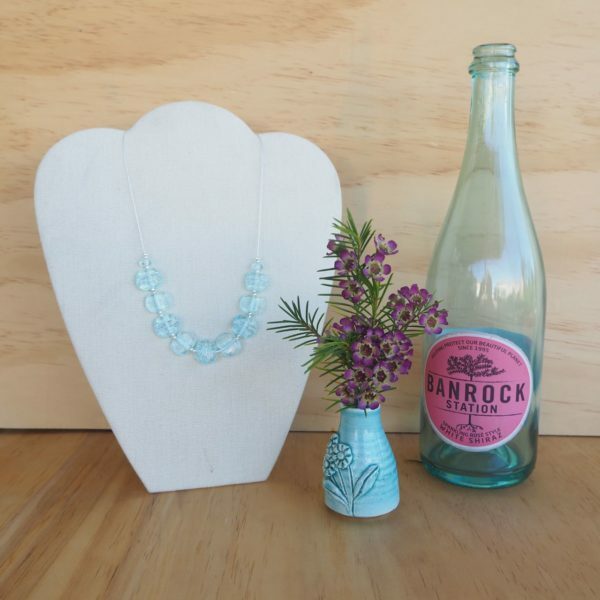 I made the beads for this necklace from a wine bottle, making it a real talking point. 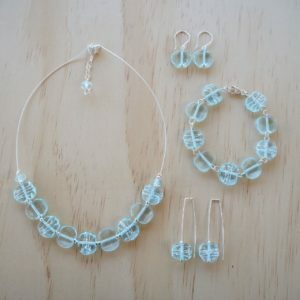 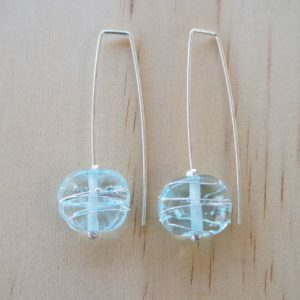 I have decorated alternate beads with fine silver wire, making the necklace extra sparkly. 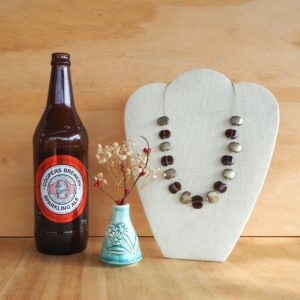 I made the beads and the necklace in my home studio. 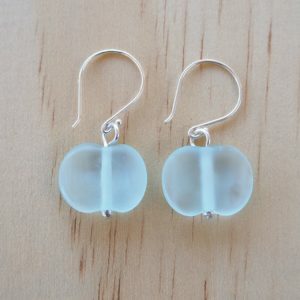 The beads have been made individually, using a torch, and then properly annealed in a kiln for durability. This necklace will be sent wrapped in tissue, and placed in an organza bag.